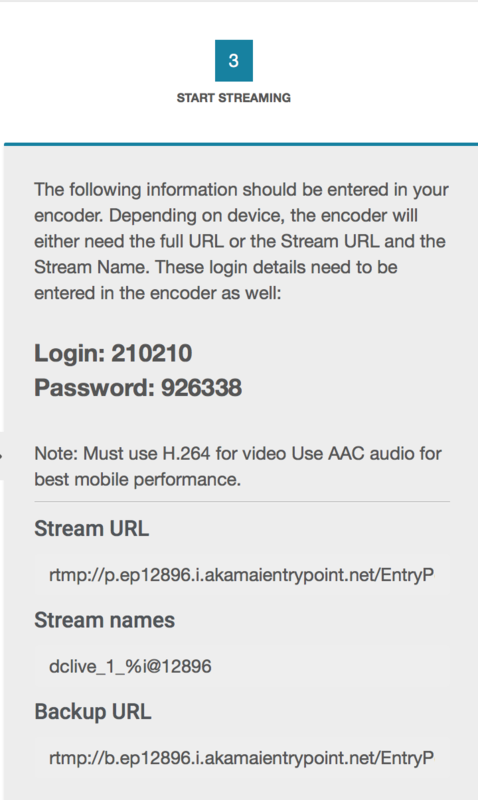 Are you interested in streaming on DaCast under Mac OS with ffmpeg? This guide provides a step-by-step explanation to get you started! 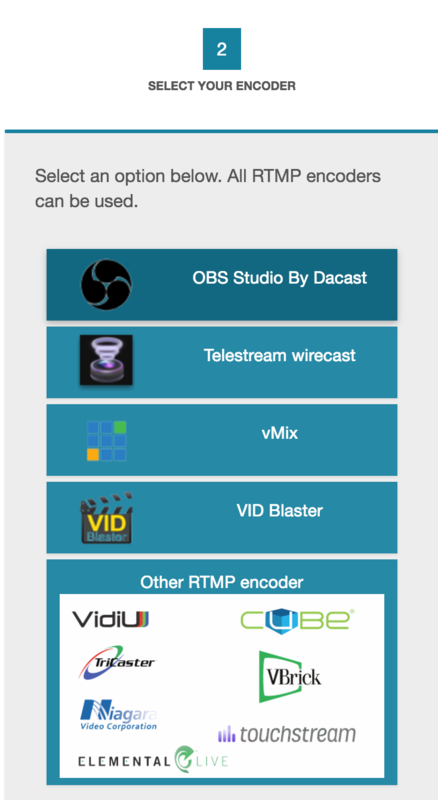 To stream on DaCast under Linux with ffmpeg, click here. You will need to compile ffmpeg with the help of brew (https://brew.sh/) and specific librtmp parameters detailed below. Before getting started, please make sure to install the brew package manager and have an updated version of Xcode Command Line Tools included for free with your Mac OS distribution. For more information on how to install Xcode Command Line Tools, please click here. 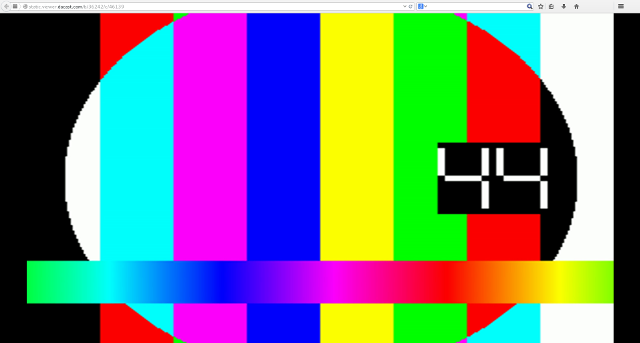 From here, make sure to select Other RTMP Encoder. At this point, you should see the following information on your screen. $ ffmpeg -re -f lavfi -i testsrc -c:v libx264 -b:v 1600k -preset ultrafast -b 900k -c:a libfdk_aac -b:a 128k -s 1920x1080 -x264opts keyint=50 -g 25 -pix_fmt yuv420p -f flv "rtmp://p.ep246802.i.akamaientrypoint.net/EntryPoint flashver=FMLE/3.020(compatible;20FMSc/1.0) live=true pubUser=123456 pubPasswd=789123 playpath=dclive_1_1@246802"
You must have followed all the steps above and the librtmp manual compilation or this is not gonna work: your credentials will be rejected by the server. $ ffmpeg -re -i /your_source_path -c:v libx264 -b:v 1600k -preset ultrafast -bufsize 3000k -c:a libfdk_aac -b:a 128k -s 1920x1080 -x264opts keyint=50 -g 25 -pix_fmt yuv420p -f flv "rtmp://p.ep246802.i.akamaientrypoint.net/EntryPoint flashver=FMLE/3.020(compatible;20FMSc/1.0) live=true pubUser=123456 pubPasswd=789123 playpath=dclive_1_1@246802"
$ ffmpeg -re -i /your_source_path -c:v libx264 -b:v 1600k -preset fast -b 900k -c:a libfdk_aac -b:a 128k -s 1920x1080 -x264opts keyint=50 -g 25 -pix_fmt yuv420p -f flv "rtmp://p.ep246802.i.akamaientrypoint.net/EntryPoint flashver=FMLE/3.020(compatible;20FMSc/1.0) live=true pubUser=123456 pubPasswd=789123 playpath=dclive_1_1@246802"
$ ffmpeg -re -i /your_source_path -c:v libx264 -b:v 1600k -preset ultrafast -tune zerolatency -b 900k -c:a libfdk_aac -b:a 128k -s 1920x1080 -x264opts keyint=50 -g 25 -pix_fmt yuv420p -f flv "rtmp://p.ep246802.i.akamaientrypoint.net/EntryPoint flashver=FMLE/3.020(compatible;20FMSc/1.0) live=true pubUser=123456 pubPasswd=789123 playpath=dclive_1_1@246802"
Feel free to get in touch with DaCast directly if you need further support with this process.